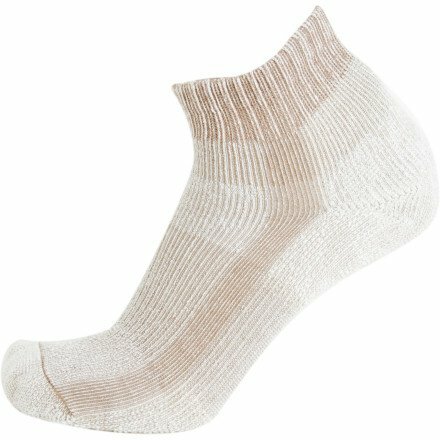 Get just the right amount of protection and warmth you need in the Thorlo® Light Hiking Mini-Crew sock, specifically designed for extended hikes. It's constructed using inspired THORLON® acrylic fibers engineered to maintain fabric softness, maximize foot comfort and ensure product durability. CoolMax® technology wicks moisture away from the foot to keep you cool and dry.